Nibiru: Will the world end in April 2018? Predictions regarding the extinction of humanity, or huge collapse of civilization, the destruction of the planet or even the universe has been going on as long as mankind has walked the Earth. 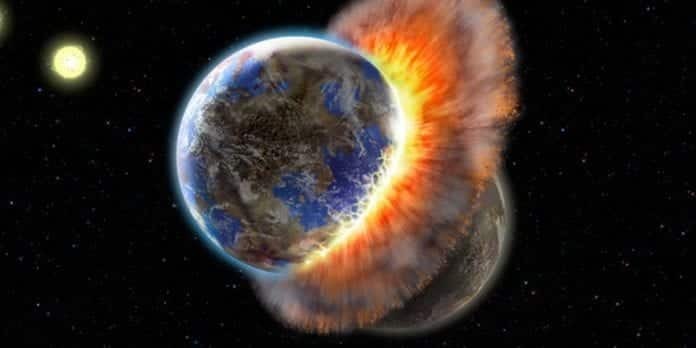 Now, conspiracy theorists have come up with fresh fears that the world will end as early as April 23, as a giant mysterious death star “Nibiru” also known as Planet X, is set to cause destruction across the Earth. Nibiru is supposed to be a large object that is on a collision course with Earth. David Meade, a Christian numerologist and who writes for Planet X News told the Daily Express newspaper that the occurrence of an apocalypse on April 23 will ultimately destroy our Earth. It is claimed that the Sun, Moon and Jupiter will align in the constellation Virgo, igniting the beginning of the biblical Rapture, which is also known as the second coming of Jesus Christ. The woman in the passage is believed to be Virgo, where the Sun and Moon are claimed to align, along with the Jupiter, which represents the Messiah, that matches the planetary alignment due to take place on April 23, theorists say. Meade believes that on that night, Nibiru or Planet X will suddenly appear in the sky and may collide with our Earth or may fly very close to Earth that will bring finally bring destruction on our planet in the form of massive volcanic eruptions, earthquakes, and tsunamis on Earth. Responding to the latest claims, pessimists say that this type of particular astrological alignment happens every 12 years, but Meade believes it otherwise. He says: “By early April of 2018, the disappearance of the Church (all true Christians worldwide also known as the Rapture) will occur. “This will be followed quickly by the rise of the Antichrist, the appearance of Planet X and World War III. He also said that the upcoming planetary alignment is a “unique once-in-a-century sign”. He added: “During this time frame, on April 23, 2018 the moon appears under the feet of the Constellation Virgo. “The Sun appears to precisely clothe Virgo… Jupiter is birthed on April 08, 2018. Before you start to panic, please note that Meade and fellow doomsday foretellers have in the past incorrectly predicted the end of the world. NASA experts has dismissed the theory calling it a hoax. It has also said repeatedly that Nibiru does not exist and released a statement to confirm it wasn’t true. The statement read: “Various people are ‘predicting’ that world will end on September 23 when another planet collides with Earth. The planet in question, Nibiru, doesn’t exist, so there will be no collision,” the space agency said. “Nibiru and other stories about wayward planets are an internet hoax. “There is no factual basis for these claims. If Nibiru or Planet X were real and headed for an encounter with the Earth astronomers would have been tracking it for at least the past decade, and it would be visible by now to the naked eye.